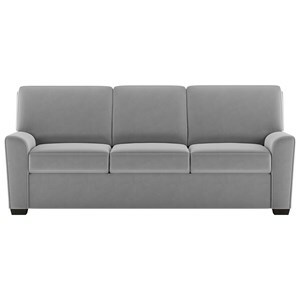 This sleeper sofa is an excellent solution for small-scale living. When the mattress is open, it offers a full 80 inches of room to stretch out, yet it only takes up 85 inches of your room space. 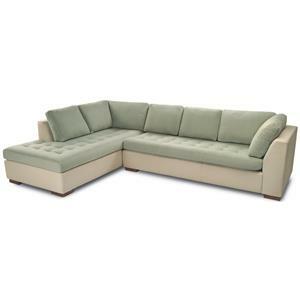 Gone are the days of heavy, clunky sleeper sofas that are impossible to deliver in apartments and condos. Comfort Sleepers can be completely disassembled to fit through the smallest elevator or stairwell. 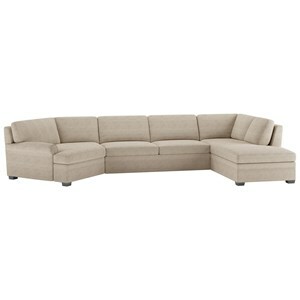 infinitely functional and stylish, this model features extra arm space with a super-mod oversized track arm. 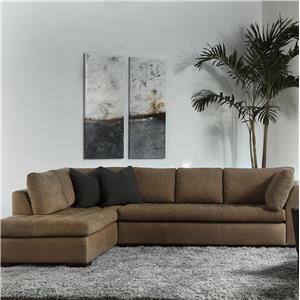 Sprawl out, sink in, curl up - this sectional sofa gives you the flexibility to relax the way you want. 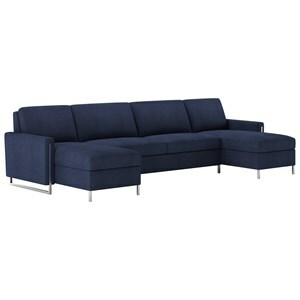 The four seat sofa gives you ample seating space for family and friends, complete with two chaise lounges on each end for stretching out your legs. 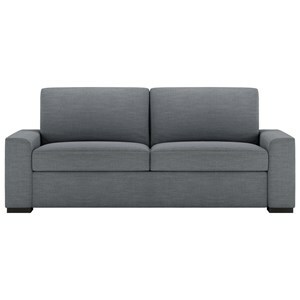 The sofa also conceals two hidden storage compartments and a King-size Comfort Sleeper mattress. 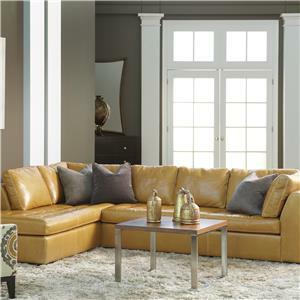 American Leather is an exclusive producer of leather upholstered furniture. 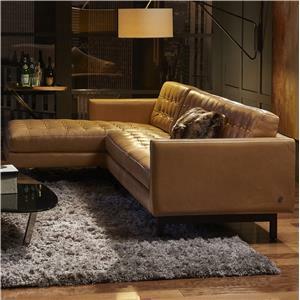 All of our furniture styles are designed to take full advantage of the natural beauty and unique characteristics of genuine leather. We use only the finest quality, top grain hides available. 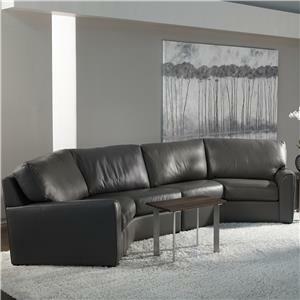 No inferior split grain leathers or vinyls are ever used. 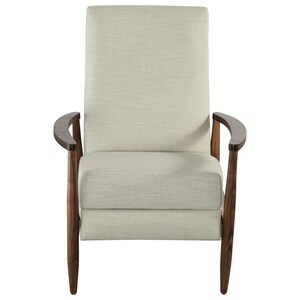 And all of our furniture is made to order in your choice of style, frame, leather grade and color.